Register Log In ECN Forum Forums Violation Photo Forum How many violations can you find? Is it a split buss panel? It appears to be one but my monitor leaves much to be desired,if it is it would explain the main lug kit instead of a breaker,but I count 5 mains. 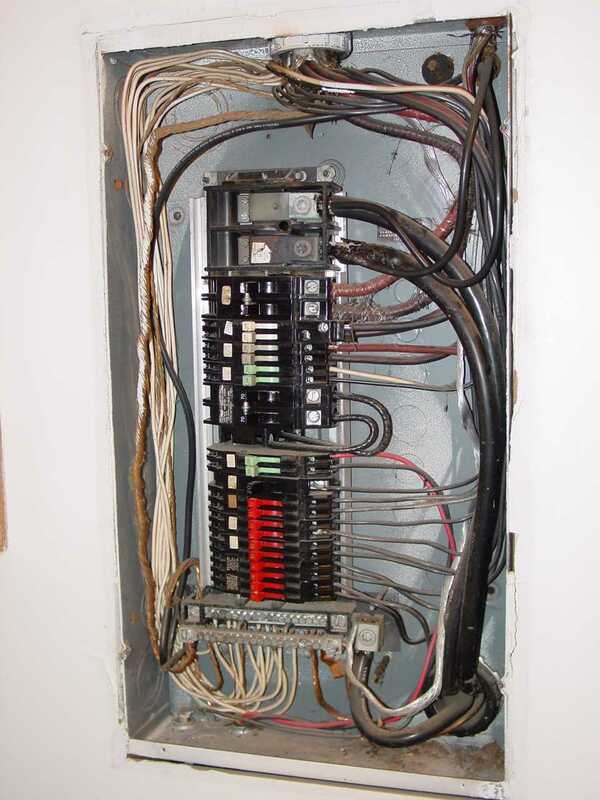 Some of the most obvious violations are: double lugged conductor and unprotected also.The SE cable below the main lugs, I assume is supplying another panel? The "workmanship" and the "quality" of the panel go well together : Very poor,the damage at least will mean that it has to go. PS 384-16 (a) all the way back to the 1965 NEC says no more than 2 mains in a panelboard, the change occured in that edition,but there was some tweaking of the exceptions over the years since. Are those ZZZZZINSMOKE breakers? If so, not a technical violation but a serious potential hazard nonetheless. It is I believe a split-bus panel used as service equipment. The 5 mains is not a violation but the taps to the main lugs are and may have contributed to their demise. 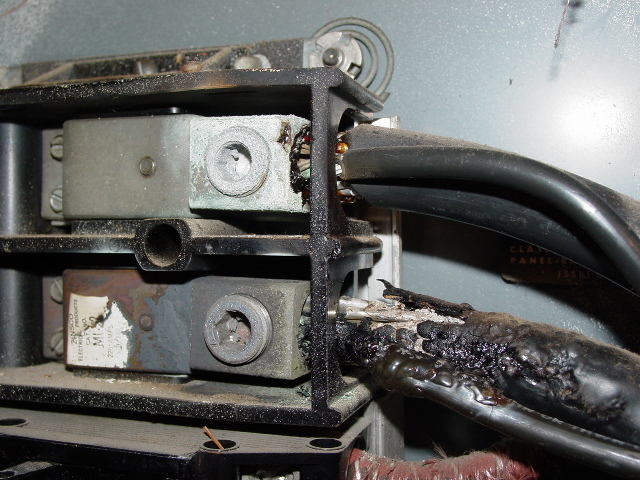 Looks like some conductors enter through KO's without connectors too. What about the egg's, would twisting them altogether be ok and all set into one lug?